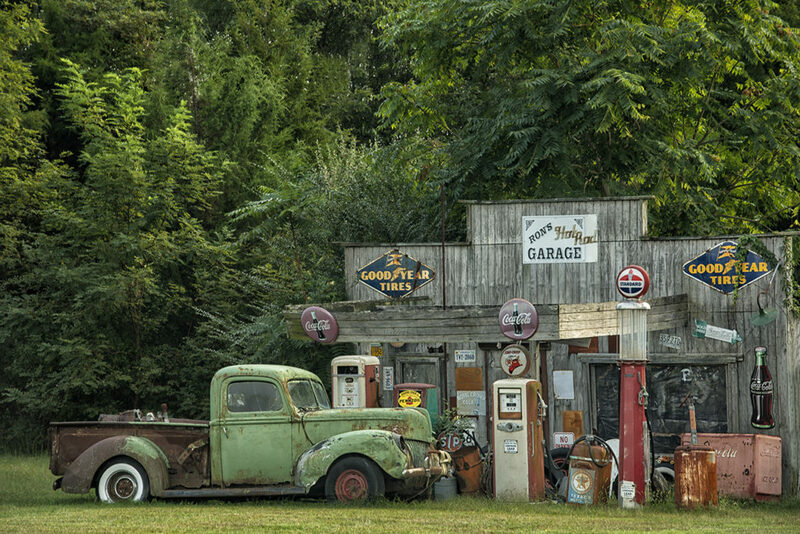 I recently came across this idyllic scene, “Ron’s Hot Rod Garage” in a remote, agricultural area of Shenandoah County, Virginia, some ninety miles west of Washington, DC. The gas pump for the latter boldly proclaimed that it “contains lead”, as if it were a declaration of power, not the source of shame we consider it to be in these more environmentally conscious days. 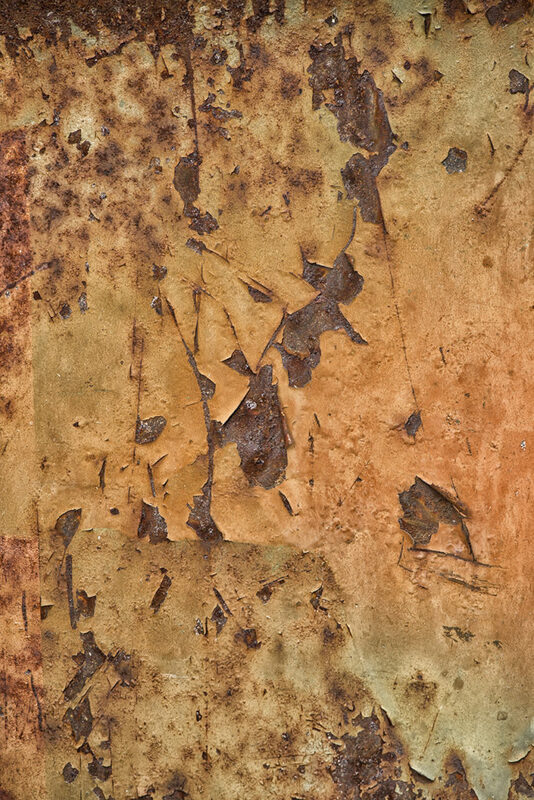 The oil cans standing among the pumps had been heavily weathered by years, perhaps decades, of rain, wind and sun. 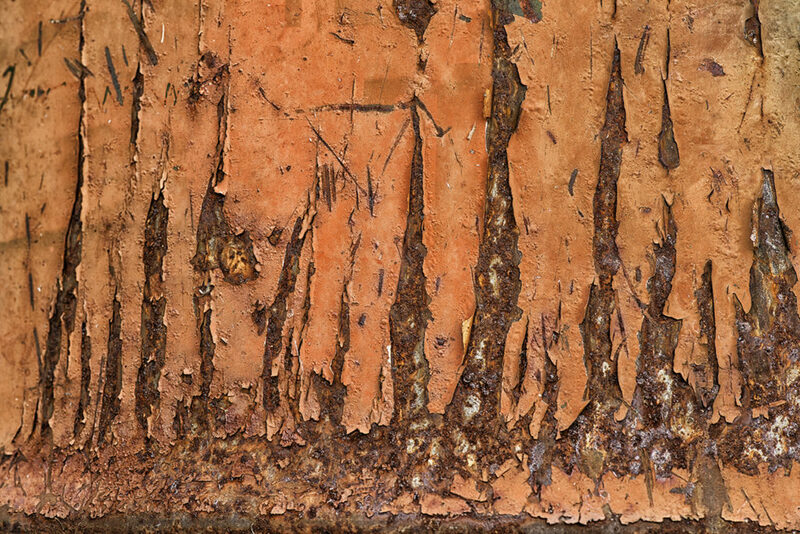 Their rusted surfaces allowed me to capture some macro images of abstract patterns. Standing alone, looking at the simple, rustic scene, I was filled with feelings of nostalgia: that bittersweet, sentimental sense of loss for a past that is long gone and can never be reclaimed, combined with a poignant sense of satisfaction that it ever existed in the first place. But why should I feel nostalgic for 1940s-era America? I wasn’t born here. I didn’t grow up here. 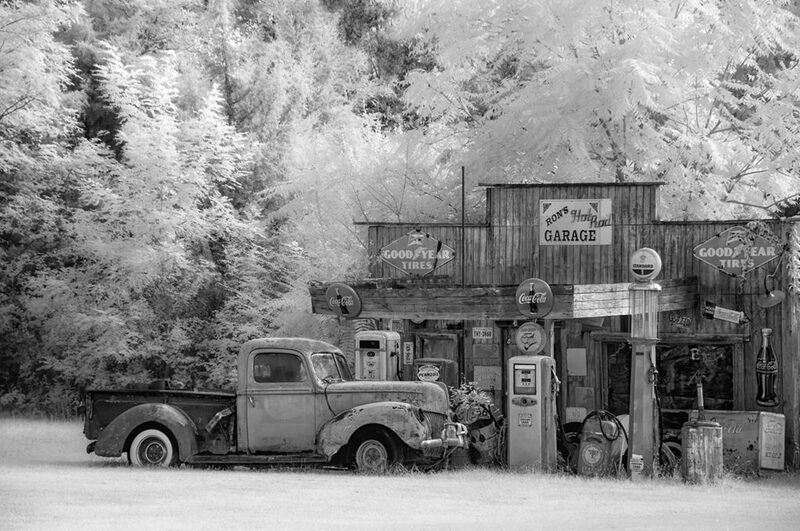 There were no Ford pickup trucks or Fire Chief gas pumps (they would, in any case, have been called “petrol pumps”) in rural western Ireland, where I was born and raised. I really couldn’t figure it out. Maybe it’s retained memory of American films from the post-war era that I had seen as a boy. Maybe it’s “The Waltons”, which was set in that time period and in exactly this area of Virginia’s Blue Ridge Mountains. Unlikely: I’m aware of the programme, of course, but was never a fan. For me, I can only think that Ron’s Garage takes me back to a simpler, gentler past typified by universal values, such as good neighbourliness, tightly-knit families and isolated farming communities that lived in close reliance on the land. Values not unlike those with which I was raised in rural Ireland.